1979 - The Jacksons perform Destiny tour in Saginaw[US]. 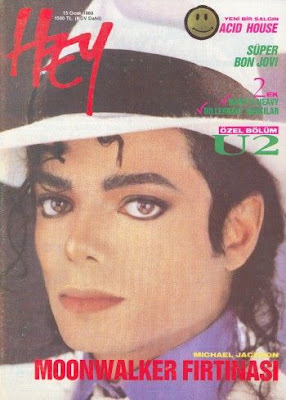 1989 - Hey magazine[Turkey] featured Michael on their cover with the story: Michael Jackson Moonwalker Firtinasi [Moonwalker Storm]. 1993 - Michael performs Dangerous concert at Morumbi Stadium in Sao Paulo, Brazil attending 80,000. 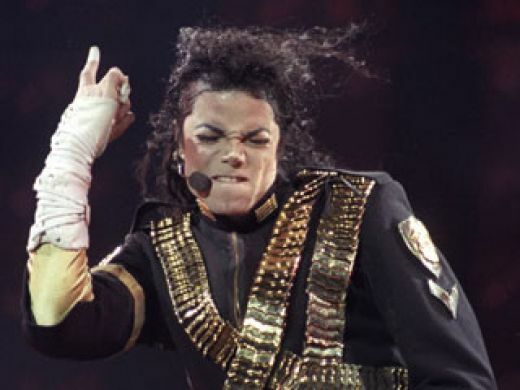 1997 - Michael's "HIStory" World Tour concluded with a sold-out concert at Kings Park Stadium in Durban, South Africa attending 60,000, which is the 82nd concert of the History World Tour. The "HIStory" tour broke all existing records - Michael Jackson's "HIStory" World Tour is the biggest world tour any solo performer had ever done!!! The tour also broke the legendary record set by the Rolling Stones with their "Voodoo Lounge" World Tour! The "HIStory" tour spanned the globe with stops in 56 cities on 5 continents, and included 82 concerts to about 4.5 million loving fans. With this, Michael broke his previous record which he set with the "Dangerous" World Tour. Michael toured with the widest stage anyone had ever toured with, and the mega show featured special effects by magicians David Copperfield and Siegfried and Roy. During the SECOND leg of the "HIStory" tour, began in Bremen, Germany on 31st of May, Michael performed 40 shows, grossed over US$ 83.5 million and had a total attendance of 2,035,189. This equals to an average $2,087,853 gross and 50,880 attendance per show! These statistics are for the second leg of the tour only! Michael sold his millionth concert ticket at the Wembley Stadium and sold out four concerts in a row there. The tour was so successful that he had played 82 concerts to 4.5 million fans in 35 countries on 5 continents. The estimated grosses totaled more than $160 million and again, it was the biggest concert tour of its time. 2001 - All four re-issues ["Off The Wall", "Thriller", "Bad", "Dangerous"] containing previously unreleased material plus a new booklet with new photos, were officially released. While Quincy Jones is promoting his autobiography On the Oprah Show, Michael calls him on the phone to congratulate him. 2003 - Michael attends his brother Tito’s 50th birthday party with all the Jackson family. One More Chance, written by R. Kelly in 2001, only new song from Michael's compilation album, Number Ones is premiered on radios. It was released as a single on November 20, 2003, reaching #83 in the U.S., #5 in the UK and reaching #1 in Venezuela, Moldova and Turkey. Promo short film shot in Las Vagas and edited, but not completed or released by Sony. Michael had been shooting the video late into the night of November 17, 2003, in Las Vegas, Nevada, when his Neverland Ranch was raided by the Santa Barbara Sheriffs Department. Following the raid, production was stopped. On October 13, 2010, the official website of Michael Jackson announced that the music video will be released in a deluxe DVD box set Michael Jackson's Vision on November 22, 2010. 2006 - Michael agrees to let US journalist Billy Bush from Access Hollywood visit him at the Grouse Lodge residential recording studios in remote Westmeath, Ireland where he is staying with Grace & the kids and working on new music with producer Will.I.AM. This entry was posted on 15 October 2010 at Friday, October 15, 2010 and is filed under 1979, 1989, 1993, 1997, 2001, 2003, 2006 . You can follow any responses to this entry through the comments feed .